Paint looser and bring a boost of energy to your painting during this two-day workshop with Eugene, Oregon, artist Sarah Sedwick! This fun and focused workshop hits the basics of value and composition design, while being all about rich color and lively brushwork. 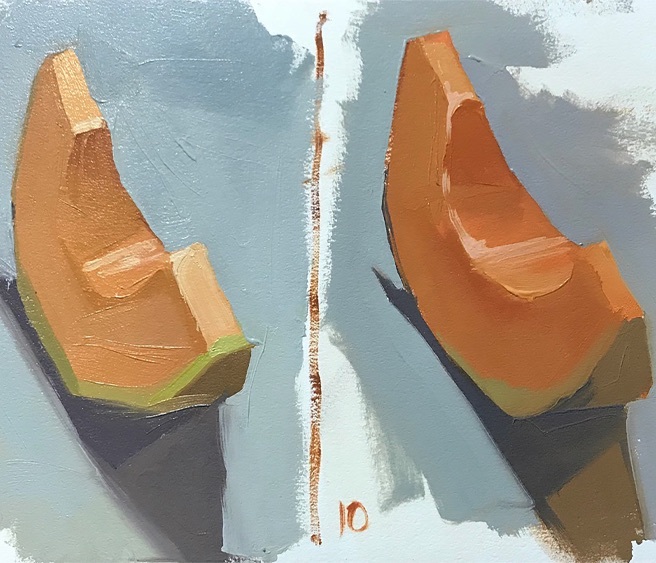 Learn the alla prima oil painting technique and pack your paintings with confident, harmonious color while simplifying your palette. Get a new perspective on the still life and great tips for bringing inspiration to your home studio practice. We will do quick, fun exercises and longer duration paintings. Sarah will demonstrate her process and work with each student individually. Painters of all levels are welcome. Begin your oil painting journey or give your skills a tune-up. This workshop is still life based. Students of all levels are welcome. Sarah Sedwick was born in Cleveland, Ohio and has lived in Eugene, Oregon since 2007. In 2001, she earned a BFA from Maryland Institute, College of Art. Her oil paintings celebrate the simple beauty of everyday objects and are most often inspired by color combinations and perceptual effects. All are painted from life.Sarah has been teaching workshops on alla prima still life, portrait and figure painting since 2012, both in Oregon and around the country. Her teaching philosophy focuses on the technical fundamentals of representational painting and aims to make painting fun and accessible for artists of all levels. "If it isn't fun, we won't do it, and doing it is how we improve." • A sketchbook and pencil for note-taking and sketches.